Production Expert | Open An Old Session You Mixed 10+ Years Ago - What Workflow Horrors Lay Within These Projects That You Wouldn’t Dare Do Now? Open An Old Session You Mixed 10+ Years Ago - What Workflow Horrors Lay Within These Projects That You Wouldn’t Dare Do Now? I often have to make revisions to old mixes that I worked on many years ago as some of my clients occasionally require revised mixes for song pitches or sync purposes. When I load up these dusty sessions of old I often get a bit of nasty surprise, caused by how badly I used to organise and manage my sessions. Many of these archive sessions are in such terrible states that I often feel a bit remorseful for the sloppy ways I used to work in my younger “unprofessional” years as a producer. I’m not talking about how these mixes sound or anything to do with how I tracked the instruments here, instead I’m referring to how slapdash I was when I built and managed my Pro Tools sessions in the past. I’m a big enough person to admit my past errors, I used to be very lazy when it came to naming my tracks. On reflection I think I know why I gave this rather important aspect of session management little attention, it was because I used to get really deep into the zone of tracking, focusing hard on the instruments I was recording. My head would be so focused on the music, the instruments, the mics, the headphone mixes, the client, the recording, the mood…. you name it… my attitude towards naming tracks ended up being very low down my priority list. I used to say to myself “I’ll name those tracks later in the mix” but I never got round to it as the “creative zone” would become a bigger bubble and distraction later in the production chain. There was an organised chaos to my old sessions that I didn’t feel was that big of an issue until I started receiving Pro Tools sessions from clients that were in worse states than mine. This made me rethink my approach to session management and I started to prioritise track naming… better late than never. There isn’t really any good excuse for clipping a plug-in’s output… let alone several instances, except maybe a lack of understanding or care when it comes to gain staging. 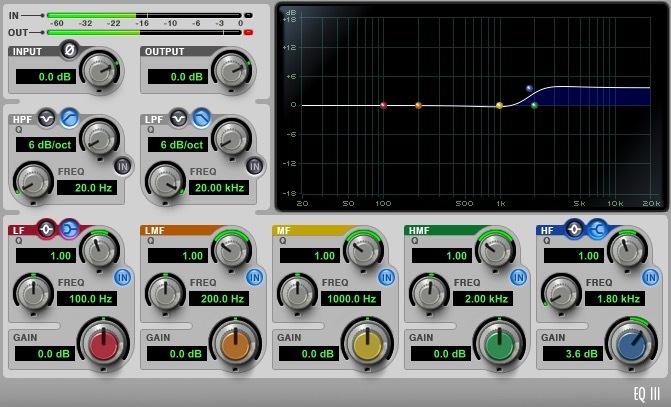 Some plug-ins don’t always produce a noticeable enough clipping sound when the output level hits the red line, so it can be easy for those who don’t respect, appreciate or understand gain staging enough to hastily move on through a mix without feeling that it is that much of a problem… when in reality it is. What I once couldn’t hear clearly enough in terms of clipping back in the day is certainly not the case now as my critical listening skills have developed massively. These days, as soon as I hear a tiny “crunch” or “over” artefact on playback of an old session I wince. At least I can console myself in the knowledge that my ear has become more tuned and aware of audible artefacts which enables me to quickly identify when a plug-in is clipping. There’s no exact way to determine if a session has too many plug-ins as every song is different and requires it’s own approach to mixing, but, if the majority of tracks in a Pro Tools session has nearly all of the ten available inserts loaded with plug-ins then that kind of gives an impression that too many plug-ins were used. Over the years I’ve adopted a far leaner “less is more” approach to working with plug-ins. This approach has proven to deliver me better mixes as I now focus on the sound of the source audio and how I can sweeten it instead of attempting to produce impressive sounds solely through lengthy, often pointless, plug-in chains. Applying fades to audio clip cuts and edits is audio engineering 101, however, it can at times be all too easy to get complacent in a busy session by not ensuring all the audio edits are tidied up correctly. The effects of clips without fades are profound, especially in a session with hundreds of edits. A mix can sound very spiky and choppy without proper fade treatment on the “ins” and “outs” of audio clips. I don’t have any good reasons for not taking more care with fades… pure laziness I suppose. Similar to not naming my tracks, not having an order to the track layout was also a common flaw in my old sessions. Again, I’ve learnt the error of my ways from receiving countless client sessions that were such a mess I needed to put in a lot of time just trying to get a basic understanding of the song’s arrangement. Over the past five years I’ve worked to one fairly standard track layout, naming structure and colour scheme for instrument types that’s personal to me. This helps me to quickly identify sections within my mixes while I’m working on them but also when I need to revisit projects from years gone by in the future. Over the last ten years I have learned the error of my ways. I’ve massively improved all the ways in which I manage my Pro Tools sessions for the better. In recent years I consider the likelihood of needing to revisit at some point in the future a mix I’m working on now so I ensure that I don’t cut corners or leave anything to chance that I may regret down the line. Opening an old session to see a multitude of problems caused by your own lazy attitudes is like shooting yourself in the future foot. If at least one of these points featured in this article is typical in your current workflow then I suggest you consider making a few changes as you’ll only have yourself to blame if you need to revisit an old sessions in the future. I’ve bravely aired some of my pro audio dirty laundry in public, how about you? - Revisit one of your old sessions from years ago - What workflow horrors lay within that you wouldn’t dare do now? When Is An Audio Production Trick Not A Trick? We Look At 6 Popular Mixing Tricks... Or Not!